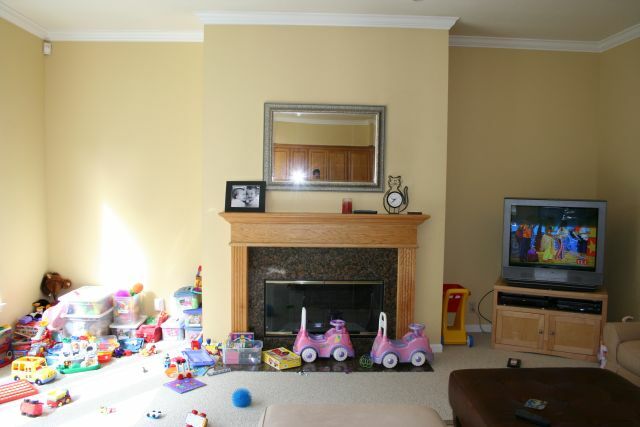 There is nothing like children to show you that you don't have enough storage space. 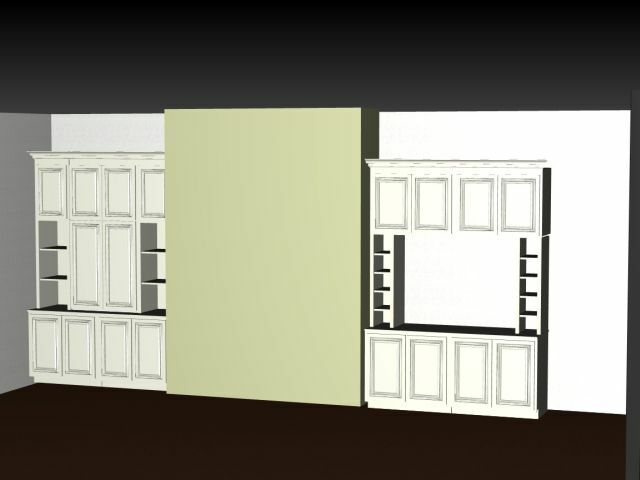 This was the design for the cabinet system including mounting the LCD TV within the cabinet on the right. 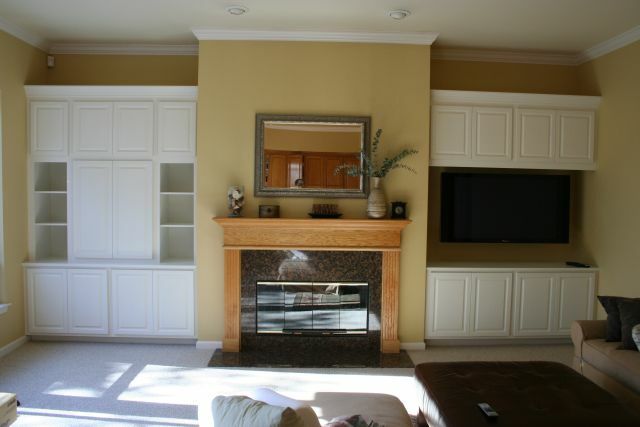 The LCD TV was mounted in the open space where it could be seen perfectly, but didn't stand out from the cabinets. 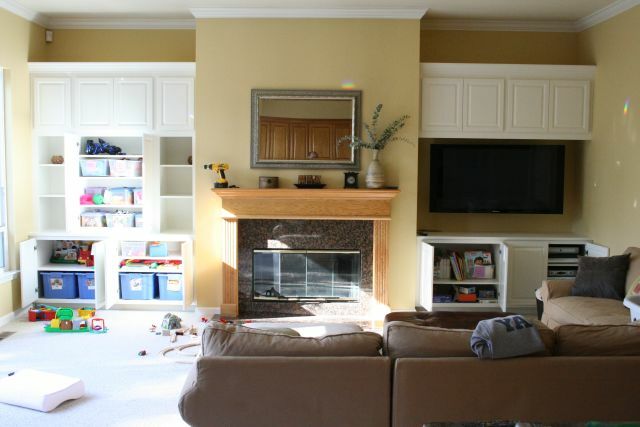 The cabinet created lots of storage space for toys as well as shelves up high out of reach of the children. 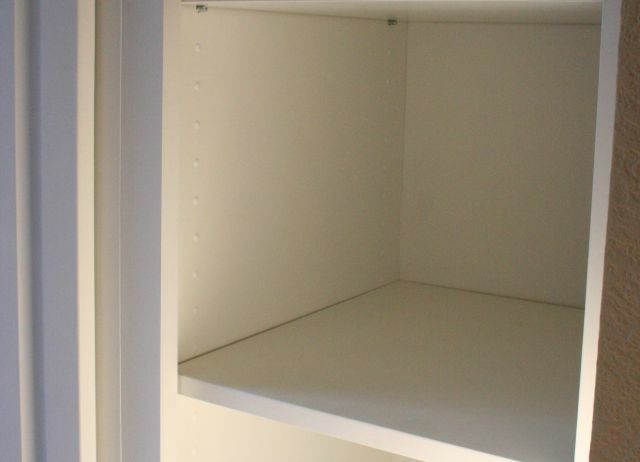 Adjustable shelves provide flexibility and the holes can be covered so that they don't detract from the polished look.